Check out oGorgeous yoga bags and slings, especially if you're into shiny, sparkly things. 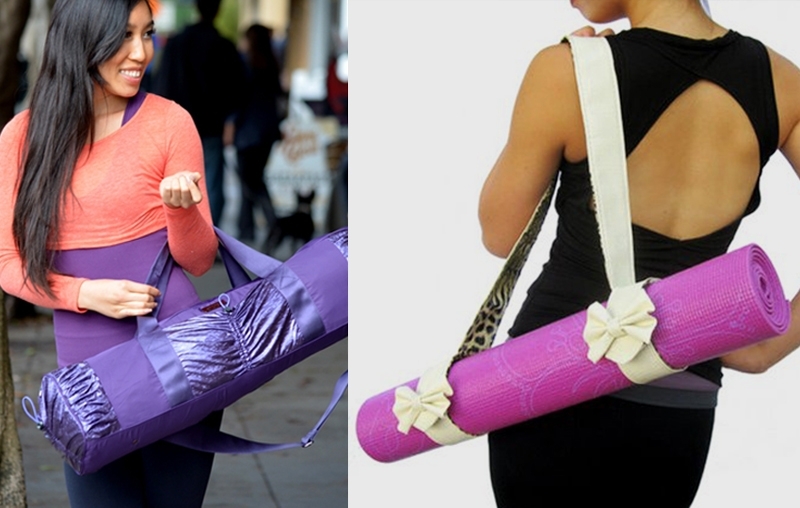 Most yoga bags I see around are a let down but these were designed by Cassey Ho to be sturdy, roomy and eye-catching. oGorgeous yoga bags range from $80 - $130. If you're a minimalist like me, go for a sassy sling under $30. Props to Cassey for using faux leather throughout her collection and for playing up her love of bows.